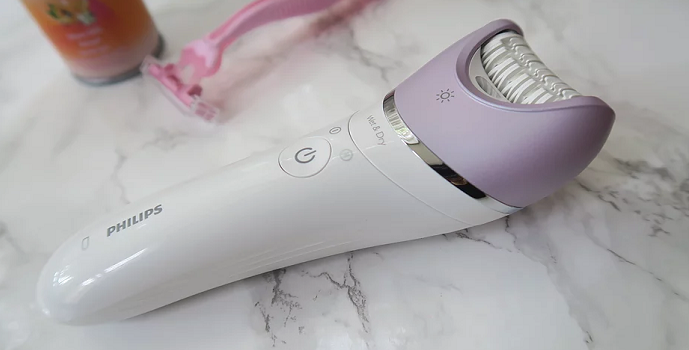 The BRE630 is a beautiful mid-range epilator from Philips’ ‘Satinelle’ range, offering immediate and rapid fine hair removal for your legs, body and face – including sensitive areas such as underarms, bikini zones and the upper lip. The BRE630 is right in the middle of the range, offering a decent compromise between value and efficiency. 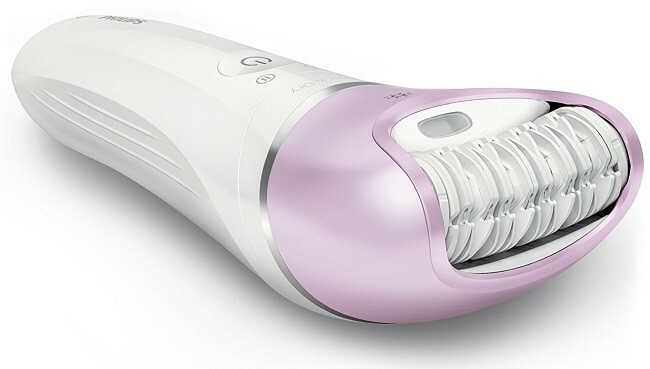 It was a very close contender for our top epilator, just falling a couple of point behind the Braun Epil 9. 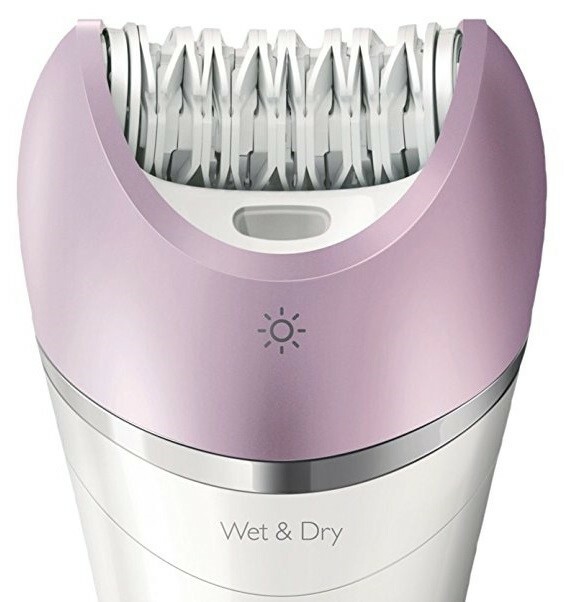 Philips widest Epilator head, for maximum hair removal in every stroke. High grip strength, long lasting ceramic tweezer discs. Suitable for whole body epilation, with host of attachments and accessories. Integrated LED Opti Guide light, so you can see every hair. Exception build quality from a trusted health brand. 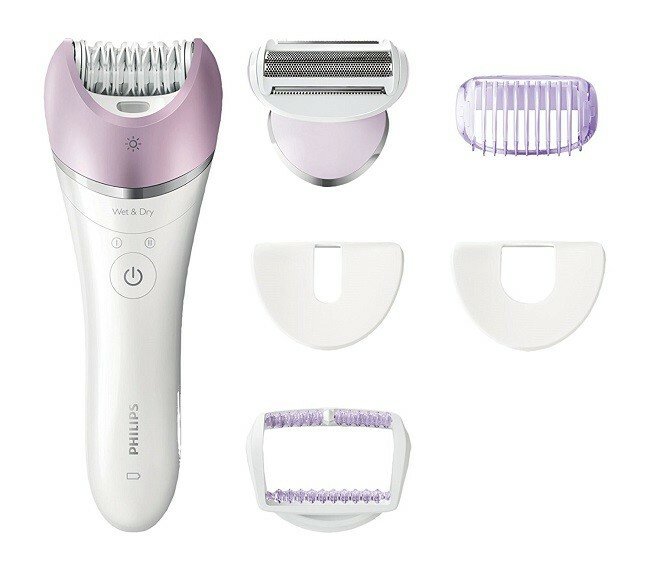 Philips new Satinelle BRE630/00 provides fast and efficient hair removal without the need to go over the same area multiple times, and the Satinelle wide epilation head means wider coverage with a single stroke. This is a wet and dry product, meaning it can be used on-the-go, or in the bath or shower for maximum comfort. It is designed for cordless use, and the rechargeable batteries offer 40 minutes of power from a 90-minute charge. For ease of use, Satinelles also come with an Opti-light to help identify and remove fine hairs and trace remnants from your whole body. As well as an Opti-light, the Satinelle range comes with a host of features to maximise the effectiveness and comfort of hair removal. 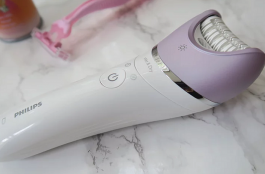 Philips’ patented S-shaped handle makes the device easier to hold and maneuver, if you’re opting for wet epilation, and makes it easier to get to out-of-reach areas of the body. Plus, is visual a very attractive device. 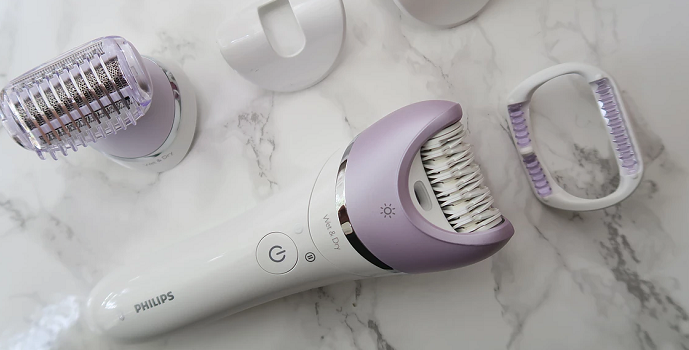 The wide epilation head means you’ll achieve more with a single stroke, minimising the amount of time you’ll need to be epilating. The BRE630 comes with five useful attachments; that’s four more than the 610 predecessor, and three fewer than the higher-end 650. The massage cap gently lifts hair and vibrates against the body, raising flat-lying hairs to maximise removal. The massage function also sooths the skin, reducing unpleasantness in the somewhat painful process of epilating hairs. For delicate areas, two specially adapted caps achieve an extra fineness, meaning a gentler epilation and a smoother result for the upper lip and chin. For bikini-line trimming, a bikini trimming comb is provided for use before epilation, in order to facilitate smoother performance from the product. 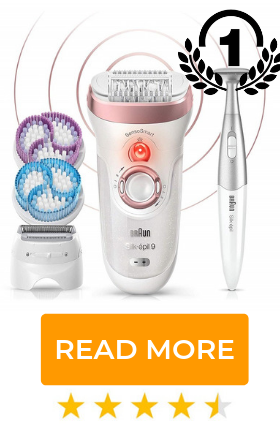 Finally, once you’ve used the trimming comb, you can attach the shaver head for a close shave, as this model converts to a fully functioning lady shaver. The product itself utilises a combination of tweezing and textured ceramic discs (designed for max wet & dry gripping power) to lift hairs into position before removing them; in practice this proves effective most of the time, though don’t expect to never have to redo areas. The added Opti-light is useful for times of dimmed lighting, or when you’re unable to catch every hair in one pass. No skin exfoliation aids which really help pre-epilation. Positive reviews of the product focus on its speed and effectiveness. Epilation can be a painful process, especially if it’s your first time, so rapidity is a key factor if you’re hoping to avoid pain. 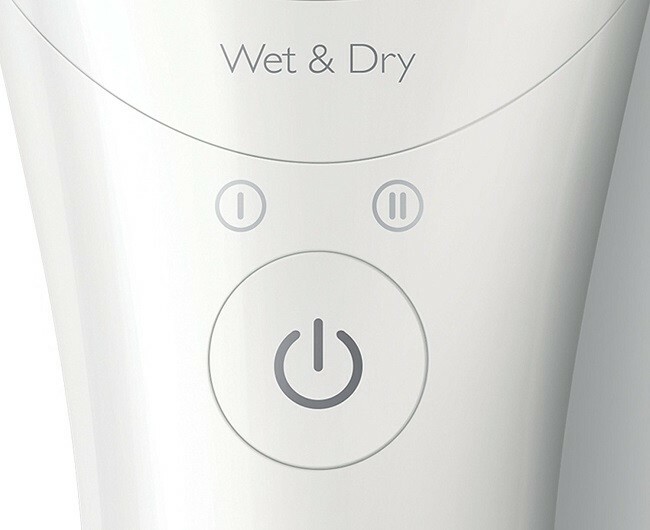 The ergonomic handle is also mentioned repeatedly as making the process easier, while the slightly larger size and power consumption mean you may be charging this device slightly more often than other, smaller options. 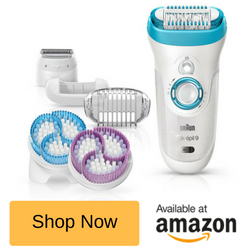 If you’re going to use epilation as part of a larger body-care and hair removal routine, then this is an ideal mid-range product. Combined with occasional spot-waxing, the Satinelle range is ideal for ensuring hair-free legs and sensitive areas for several weeks at a time.